Every Spring, the Cottontail Express pulls out of our train station and makes its determined way across the awakening landscape of Baldwin County, Alabama. 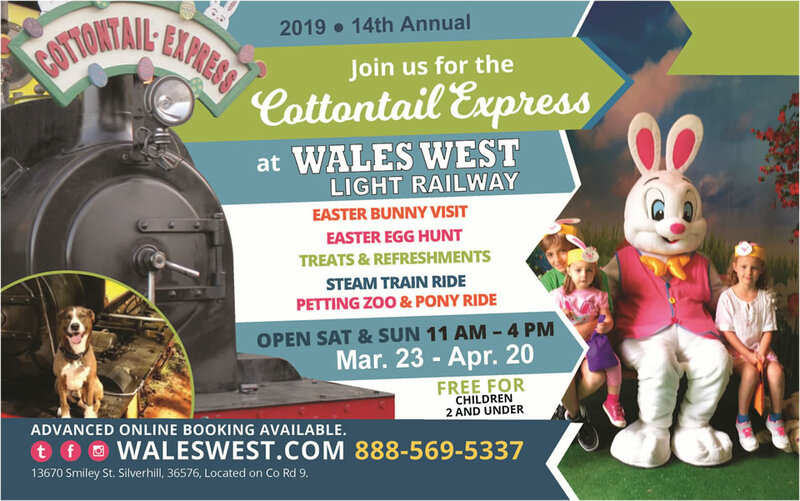 Always a family favorite, a ride on real train is only one part of an experience that includes an Easter egg hunt, treats and refreshments, and a visit with the Easter Bunny. This year, you'll have a chance to join in on any Saturday or Sunday beginning March 23rd and running through April 20th.